I didn’t need a whole lot of prodding. He could’ve stopped at “snowing” and I would’ve been in. 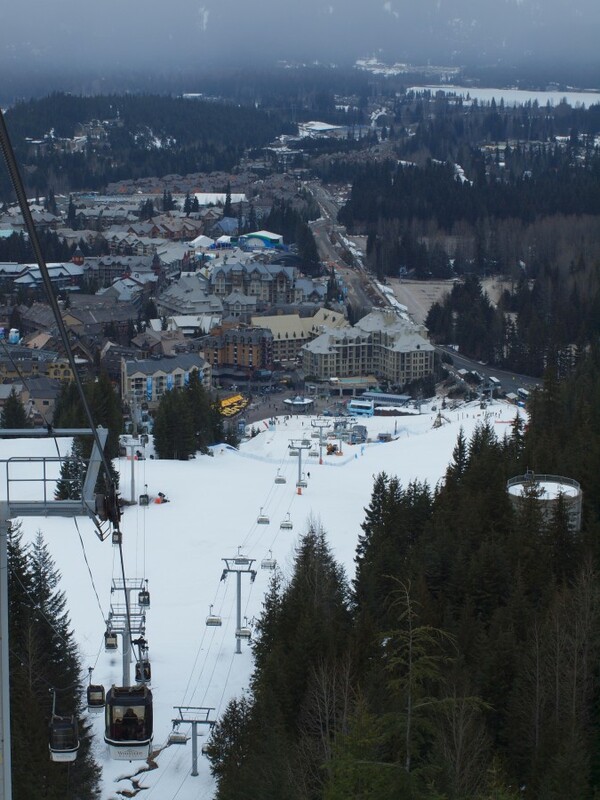 Whistler-Blackcomb Resort is one of those places that you just need to ski before you die. Period. 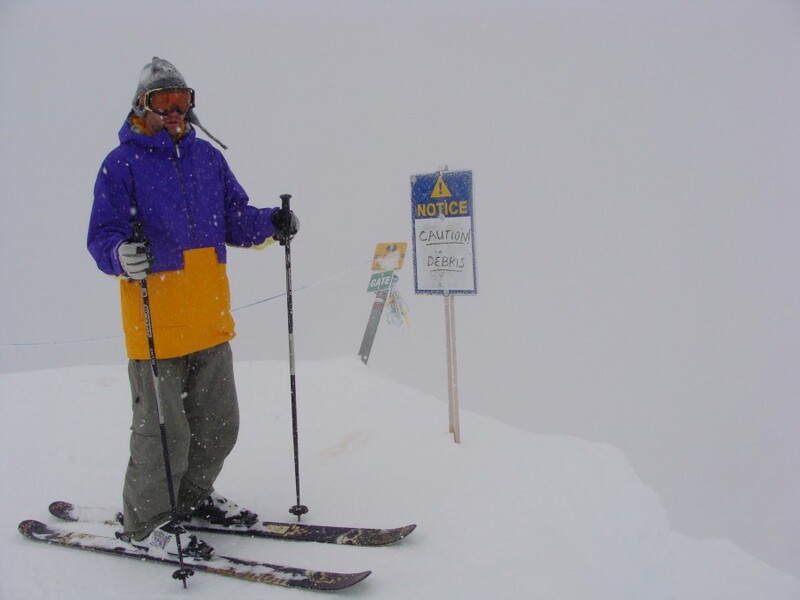 So, in true Whistler ski-bum style, my friend and I dropped any sort of quasi-plans we had and headed to the lift. After a week without snow, the white gold was more than an excuse to get out of bed. Louis, acting as my mountain guide (he, too, has a beard — albeit a weak one), has been skiing here since he was six, and he started outlining the day’s runs as if from a mental shopping list. He recited some stats a friend had passed on to him: yesterday the mountain saw the lowest number of lift ticket sales in the last 30 years. Apparently people are afraid of the Olympic hoopla. I sure didn’t mind. I hadn’t known how valuable this was until we began our assault on two boards. This place is immense. With 8,171 skiable acres, 200+ runs (that’s an exact number straight from their website), I feel bad for the people that didn’t have the insider’s guide that I had with me. He would explain where we were, the landmarks around us for a reference, and give me the names of runs. Sure of myself, I would chime in, something like, “so that means Whistler Mountain is over this way,” just to be completely shot down and his lecture started over. I like to think I’m fairly critical about subjects I think I know a lot about, but I was smitten by this place. With all of the criteria on my ski-area mental checklist accounted for — terrain, snow, acreage, atmosphere, bunnies, accessibility, food — I would happily give the first gold medal of the Games to this resort. 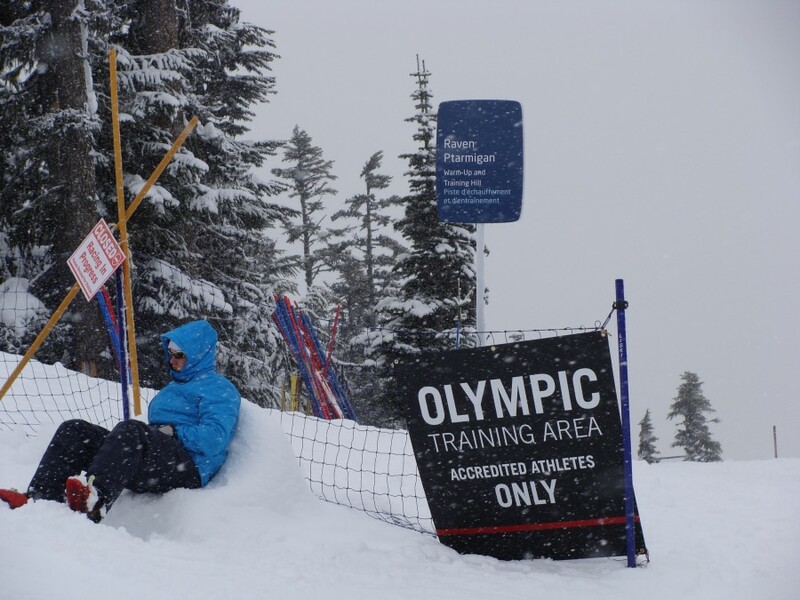 Good call Olympics, now if you just put your pride in a cupboard and move the Cypress Resort events up to Whistler, we all could breath a little easier (it is currently 45 degrees and raining at Cypress — not real conducive to snow sports). One of the highlights of the afternoon, aside from the pulled pork wrap at lunch, was scouting out the Men’s Downhill course on the Whistler Creekside area of the mountain. As we were skiing in the general area (and underneath it! ), we discovered a few public viewing platforms along the side of the runs. So, my journalistic prowess took over, and I schemed a way to catch some of the Men’s action to complement my ticket to the Ladies the very next day — I would go skiing (elementary, Watson). To all of you that will be catching the event this weekend, I saw an imposing section of course. The skiers will be making a sharp right hand turn over a roller at top speed (you’ll know this when you see it — the giant cameras of some well known stations were already set up). This sends their carving edges into the atmosphere and without the ski-to-earth technique that is somewhat important to success in the sport, there will be some serious action. That’s exactly where I’ll be. (Imagine 100 km/hr yard sales coming to a halt at my feet!) Granted my fool-proof plan works out. Before any of that, though, I’m off to Vancouver to take a spin around some of the city, and Olympic, hotspots.